Living healthier is easier with a little guidance, especially at a young age. And HealthCorps is empowering teens by helping them incorporate healthy habits into their lives. To reach teens in high-need communities where health education is underserved, Dr. Mehmet Oz (cardiothoracic surgeon and TV personality) and Lisa Oz (TV producer and Dr. Oz’s wife), founded HealthCorps in 2003. They teach practical, hands-on ways to eat better, exercise, and practice positive thought and stress management. That knowledge gives students the tools to make everyday wellness decisions that can improve their academic performance and quality of life. HealthCorps works with schools throughout the country to offer training and support. The students served report positive results—with students boosting their health, wellness, mental health, and self confidence. These skills are ones that will benefit them and their communities for a lifetime. Hello, my name is Michelle Bouchard and I’m the President of HealthCorps. HealthCorps is a national non-profit organization that gives teens tools to improve physical and mental health so they can learn to live more productive and happier lives. HealthCorps students exercise more, eat better and practice positive thought. This year, we will be impacting the lives of one million teens. I’m grateful to be able to share our story on The Grommet and invite you to join our corps. HealthCorps programs focus on teaching healthy habits such as healthier eating and exercising but also mental resilience? Why was it important to incorporate into the program? In order to address the crisis of health and wellness, you need to assess the needs of the whole child. HealthCorps started with a mission to end the childhood obesity epidemic, and we focused our efforts on high need high schools across America. We created nutrition and fitness lessons to give students the tools they need to make healthy choices. At the same time, we developed lessons in mental resilience give them the tools to make the tough personal decisions they face in their daily lives. The combination of lessons in nutrition, physical and mental resilience allows our students to live happier, healthier lives. How have you seen the programs resonating with students? Students report being happier with HealthCorps programming. From helping a freshman deal with bullying, to mentoring a senior through college applications, HealthCorps Coordinators serve the students of their assigned high school in any way they can. HealthCorps programs benefit the students, but how do they have a larger impact on their communities? Living healthier is easier with a little guidance, especially at a young age. 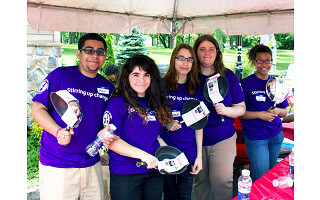 And HealthCorps is empowering teens by helping them incorporate healthy habits into their lives. 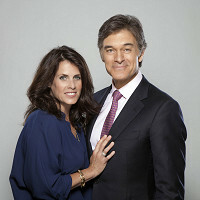 To reach teens in high-need communities where health education is underserved, Dr. Mehmet Oz (cardiothoracic surgeon and TV personality) and Lisa Oz (TV producer and Dr. Oz’s wife), founded HealthCorps in 2003. They teach practical, hands-on ways to eat better, exercise, and practice positive thought and stress management. That knowledge gives students the tools to make everyday wellness decisions that can improve their academic performance and quality of life. HealthCorps works with schools throughout the country to offer training and support.